Philosophy is the study of general and fundamental problems, such as those connected with reality, existence, knowledge, values, reason, mind, and language. Philosophy is distinguished from other ways of addressing such problems by its critical, generally systematic approach and its reliance on rational argument. The word "philosophy" comes from the Ancient Greek (philosophia), which literally means "love of wisdom". Philosophy that satisfies its own intention, and does not childishly skip behind its own history and the real one, has its lifeblood in the resistance against the common practices of today and what they serve, against the justification of what happens to be the case. Theodor Adorno, “Why still philosophy?” Critical Models (1998), p. 6. Theodor Adorno, “Why still philosophy?” Critical Models (1998), p. 10. As solid citizens, philosophers ally themselves in practice with the powers they condemn in theory. Horkheimer and Adorno, Dialectic of Enlightenment, E. Jephcott, trans., p. 67. Like every 'intellectual', a philosophy teacher is a petty bourgeois. When he opens his mouth, it is petty-bourgeois ideology that speaks: its resources and ruses are infinite. Therefore, the seeker after the truth is not one who studies the writings of the ancients and, following his natural disposition, puts his trust in them, but rather the one who suspects his faith in them and questions what he gathers from them, the one who submits to argument and demonstration, and not to the sayings of a human being whose nature is fraught with all kinds of imperfection and deficiency. Thus the duty of the man who investigates the writings of scientists, if learning the truth is his goal, is to make himself an enemy of all that he reads, and, applying his mind to the core and margins of its content, attack it from every side. He should also suspect himself as he performs his critical examination of it, so that he may avoid falling into either prejudice or leniency. Alhazen,“Muslim Journeys.” Bridging Cultures Bookshelf: Muslim Journeys. N.p., n.d. Web. 01 Nov. 2013. A discipline to get you to "see" what you say and say what you "see." Peter A. Angeles (1981) Dictionary to Philosophy New York: Barnes & Noble Books, p. 211. Angeles gave six distinct aspects of philosophy. First he notes that the meanings of philosophy are as diverse as philosophers are. Then he gave his subsequent list of five "basic definitions" of "attempts". Alpharabius, “Philosophy” Alpharabius. N.p., n.d. Web. 01 Nov. 2013. Anonymous; quoted in Dennett, Daniel C. (2006). Breaking the Spell: Religion as a Natural Phenomenon (1st ed.). Viking Penguin. pp. p. 17. ISBN 0-670-03472-X. . If ... the ability to tell right from wrong should turn out to have anything to do with the ability to think, then we must be able to "demand" its exercise from every sane person, no matter how erudite or ignorant, intelligent or stupid, he may happen to be. Kant—in this respect almost alone among the philosophers—was much bothered by the common opinion that philosophy is only for the few, precisely because of its moral implications. Hannah Arendt, The Life of the Mind (1978), p. 13. The philosopher as an analyst is not concerned with the physical properties of things, but only with the way in which we speak about them. Alfred Jules Ayer in Language, Truth, and Logic (1936). The philosopher is not someone who has thought instead of us but rather someone who makes us think. Joxe Azurmendi, Oraingo gazte eroak (1998), p. 35. A little philosophy inclineth man’s mind to atheism; but depth in philosophy bringeth men’s minds about to religion. Francis Bacon, Essays, Atheism. Reported in Hoyt's New Cyclopedia Of Practical Quotations (1922), p. 596-97. Philosophy only is the true one which reproduces most faithfully the statements of nature, and is written down, as it were, from nature's dictation, so that it is nothing but a copy and a reflection of nature, and adds nothing of its own, but is merely a repetition and echo. Francis Bacon The Enlargement of Science, 1.2, ch. 3. The philosopher wants to know things as they are. He loves the truth. That is an intellectual virtue. He does not love to tell the truth. That is a moral virtue. Presumably he would prefer not to practice deception; but if it is a condition of his survival, he has no objection to it. The hopes of changing mankind almost always end up in changing not mankind but one’s thought. Allan Bloom, The Closing of the American Mind (New York: 1988), p. 279. Art shows how it loves, philosophy what it loves; mysticism knows only that it loves. Gautama Buddha (attributed, Original wording, source: Kalama Sutra, Pali Canon). And bright with beckoning angels—but alas! By the first step, dull slumbering on the earth. Edward Bulwer-Lytton, Richelieu (1839), Act III, scene 1, line 4. Reported in Hoyt's New Cyclopedia Of Practical Quotations (1922), p. 596-97. He understood b’ implicit faith. Samuel Butler, Hudibras, Part I (1663-64), Canto I, line 127. Reported in Hoyt's New Cyclopedia Of Practical Quotations (1922), p. 596-97. Before Philosophy can teach by Experience, the Philosophy has to be in readiness, the Experience must be gathered and intelligibly recorded. Thomas Carlyle, Essays, On History. Reported in Hoyt's New Cyclopedia Of Practical Quotations (1922), p. 596-97. Judging whether life is or is not worth living amounts to answering the fundamental question of philosophy. All the rest — whether or not the world has three dimensions, whether the mind has nine or twelve categories — comes afterward. These are games; one must first answer. Albert Camus The Myth of Sisyphus (1942). In Hindustan, as in England, there are doctrines for the learned, and dogmas for the unlearned; strong meat for men & milk for babes; facts for the few, & fictions for the many, realities for the wise, and romances for the simple; esoteric truth for the philosopher, & exoteric fable for the fool. O vitæ philosophia dux! O virtutis indagatrix, expultrixque vitiorum! Quid non modo nos, sed omnino vita hominum sine et esse potuisset? Tu urbes peperisti; tu dissipatos homines in societatum vitæ convocasti. O philosophy, life’s guide! O searcher-out of virtue and expeller of vices! What could we and every age of men have been without thee? Thou hast produced cities; thou hast called men scattered about into the social enjoyment of life. Cicero, Tusc. Quæst, Book V. 2. 5. Reported in Hoyt's New Cyclopedia Of Practical Quotations (1922), p. 596-97. The name philosopher, which meant originally 'lover of wisdom,' has come in some strange way to mean a man who thinks it is his business to explain everything in a certain number of large books. It will be found, I think, that in proportion to his colossal ignorance is the perfection and symmetry of the system which he sets up; because it is so much easier to put an empty room tidy than a full one. In philosophy equally as in poetry it is the highest and most useful prerogative of genius to produce the strongest impressions of novelty, while it rescues admitted truths from the neglect caused by the very circumstance of their universal admission. Samuel Taylor Coleridge, Aids to Reflection (1829), Aphorism 1. There exists a definite misunderstanding between scientists and philosophers; a misunderstanding which might easily have been avoided had philosophers possessed a proper realisation of their inevitable limitations when discussing scientific matters. The history of philosophy has always been the agent of power in philosophy, and even in thought. It has played the represser’s role: how can you think without having read Plato, Descartes, Kant and Heidegger, and so-and-so’s book about them? A formidable school of intimidation which manufactures specialists in thought—but which also makes those who stay outside conform all the more to this specialism which they despise. An image of thought called philosophy has been formed historically and it effectively stops people from thinking. The first step towards philosophy is incredulity. Denis Diderot, Last Conversation. Reported in Hoyt's New Cyclopedia Of Practical Quotations (1922), p. 596-97. The only justification for our concepts and system of concepts is that they serve to represent the complex of our experiences; beyond this they have no legitimacy. I am convinced that the philosophers have had a harmful effect upon the progress of scientific thinking in removing certain fundamental concepts from the domain of empiricism, where they are under our control, to the intangible heights of the a priori. For even if it should appear that the universe of ideas cannot be deduced from experience by logical means, but is, in a sense, a creation of the human mind, without which no science is possible, nevertheless this universe of ideas is just as little independent of the nature of our experiences as clothes are of the form of the human body. This is particularly true of our concepts of time and space, which physicists have been obliged by the facts to bring down from the Olympus of the a priori in order to adjust them and put them in a servicable condition. The Beginning of Philosophy is a Consciousness of your own Weakness and inability in necessary things. Epictetus, Discourses, Book II. Ch, XI. St. 1. Reported in Hoyt's New Cyclopedia Of Practical Quotations (1922), p. 596-97. Luxurious food and drinks, in no way protect you from harm. Wealth beyond what is natural, is no more use than an overflowing container. Real value is not generated by theaters, and baths, perfumes or ointments, but by philosophy. Let no one be slow to seek wisdom when he is young nor weary in the search of it when he has grown old. For no age is too early or too late for the health of the soul. And to say that the season for studying philosophy has not yet come, or that it is past and gone, is like saying that the season for happiness is not yet or that it is now no more. Therefore, both old and young alike ought to seek wisdom, the former in order that, as age comes over him, he may be young in good things because of the grace of what has been, and the latter in order that, while he is young, he may at the same time be old, because he has no fear of the things which are to come. So we must exercise ourselves in the things which bring happiness, since, if that be present, we have everything, and, if that be absent, all our actions are directed towards attaining it. Variant translation: Let no one delay to study philosophy while he is young, and when he is old let him not become weary of the study; for no man can ever find the time unsuitable or too late to study the health of his soul. And he who asserts either that it is not yet time to philosophize, or that the hour is passed, is like a man who should say that the time is not yet come to be happy, or that it is too late. So that both young and old should study philosophy, the one in order that, when he is old, he many be young in good things through the pleasing recollection of the past, and the other in order that he may be at the same time both young and old, in consequence of his absence of fear for the future. When I arrived at college, I immediately took philosophy... Nothing was ever answered. I decided that "Why" questions are simply too deep to be answered with a frontal attack, using the sloppy weapon of human language. J. Doyne Farmer, The Third Culture: Beyond the Scientific Revolution ed. John Brockman (1995). To theology, … only what it holds sacred is true, whereas to philosophy, only what holds true is sacred. Ludwig Feuerbach, Lectures on the Essence of Religion, R. Manheim, trans. (1967), Lecture 2, p. 11. Every other art,—as poetry, music, painting,—may be practised without the process showing forth the rules according to which it is conducted;—but in the self-cognizant art of the philosopher, no step can be taken without declaring the grounds upon which it proceeds. Johann Gottlieb Fichte, The Characteristics of the Present Age (1806), as translated by William Smith (1847), p. 14. James Anthony Froude, Short Studies on Great Subjects, Calvinism. Reported in Hoyt's New Cyclopedia Of Practical Quotations (1922), p. 596-97. There is hardly a philosophy which has not invoked something like the will or desire to know, the love of truth, etcetera. But, in truth, very few philosophers—apart, perhaps, from Spinoza and Schopenhauer—have accorded it more than a marginal status; as if there was no need for philosophy to say first of all what the name that it bears actually refers to. As if placing at the head of its discourse the desire to know, which it repeats in its name, was enough to justify its own existence and show—at a stroke—that it is necessary and natural: All men desire to know. Who, then, is not a philosopher, and how could philosophy not be the most necessary thing in the world? Michel Foucault, Lectures on the Will to Know (1970), pp. 4-5. Many philosophers and many departments simply ignore arguments for greater diversity; others respond with arguments for Eurocentrism that we and many others have refuted elsewhere. The profession as a whole remains resolutely Eurocentric. It therefore seems futile to rehearse arguments for greater diversity one more time, however compelling we find them. A cleric who loses his faith abandons his calling; a philosopher who loses his redefines his subject. Ernest Gellner, Words and Things (1959). Philosophy is explicitness, generality, orientation and assessment. That of which one would insinuate, thereof one must speak. Ernest Gellner, Words and Things (1959), p. 265. This same philosophy is a good horse in the stable, but an arrant jade on a journey. Oliver Goldsmith, The Good-Natured Man, Act I. Reported in Hoyt's New Cyclopedia Of Practical Quotations (1922), p. 596-97. The true philosophy is rhetoric, and the true rhetoric is philosophy, a philosophy which does not need an “external” rhetoric to convince, and a rhetoric that does not need an “external” content of verity. Ernesto Grassi, Rhetoric as Philosophy (1980), pp. 31-32. We may get some idea of the change in perspective that may occur in our reading and interpretation of the philosophical works of antiquity when we consider them from the point of view of the practice of spiritual exercises. Philosophy then appears in its original aspect: not as a theoretical construct, but as a method for training people to live and to look at the world in a new way. It is an attempt to transform mankind. Contemporary historians of philosophy are today scarcely inclined to pay attention to this aspect, although it is an essential one. The reason for this is that, in conformity with a tradition inherited from the Middle Ages … they consider philosophy to be purely abstract-theoretical activity. Pierre Hadot, Philosophy as a Way of Life, trans. Michael Chase (1995), p. 107. With the advent of medieval Scholasticism, … we find a clear distinction between theologia and philosophia. Theology became conscious of its autonomy qua supreme science, which philosophy was emptied of its spiritual exercises, which, from now on, were relegated to Christian mysticism and ethics. Reduced to the rank of a “handmaid of theology,” philosophy’s role was henceforth to furnish theology with conceptual—and hence purely theoretical—material. When, in the modern age, philosophy regained its autonomy, it still retained many features inherited from this medieval conception. In particular, it maintained its purely theoretical character, which even evolved in the direction of a more and more thorough systemization. Not until Nietzsche, Bergson, and existentialism does philosophy consciously return to being a concrete attitude, a way of life and of seeing the world. Pierre Hadot, Philosophy as a Way of Life, trans. Michael Chase, p. 272. A thirsty ambition for truth and virtue, and a frenzy to conquer all lies and vices which are not recognized as such nor desire to be; herein consists the heroic spirit of the philosopher. Johann Georg Hamann, Socratic Memorabilia, J. Flaherty, trans. (Baltimore: 1967), p. 147. "'You only think you are barnpots,' shouted angry farmers from the meadows. 'Shut that row up! You're frightening the chickens, you lot and your bloody philosophy. You can't eat philosophy can you? Where would you be if us farmers went round spouting statements like that, eh? Dead, that's where you'd be! Because there'd be naff all to eat!" Mike Harding, in "Rambling On". Philosophy is not the owl of Minerva that takes flight after history has been realized in order to celebrate its happy ending; rather, philosophy is subjective proposition, desire, and praxis that are applied to the event. Michael Hardt and Antonio Negri, Empire. Philosophy is that which grasps its own era in thought. Hegel, Elements of the Philosophy of Rights; 1821. Martin Heidegger, Contributions to Philosophy, P. Emad, trans. (1989), p. 307. In many places, above all in the Anglo-Saxon countries, logistics is today considered the only possible form of strict philosophy, because its result and procedures yield an assured profit for the construction of the technological universe. In America and elsewhere, logistics as the only proper philosophy of the future is thus beginning today to seize power over the intellectual world. Martin Heidegger, What is Called Thinking, J. Glenn Gray, trans. (New York: Harper, 1968), p. 21. Philosophy begins where religion ends, just as by analogy chemistry begins where alchemy runs out, and astronomy takes the place of astrology. I found a certain Boldness of Temper, growing in me, which was not enclin'd to submit to any Authority in these Subjects, but led me to seek out some new Medium, by which Truth might be establisht. After much Study, & Reflection on this, at last, when I was about 18 Years of Age, there seem'd to be open'd up to me a new Scene of Thought, which transported me beyond Measure, & made me, with an Ardor natural to young men, throw up every other Pleasure or Business to apply entirely to it. David Hume, “A kind of history of my life” (1734). Pythagoras is said to have been the first to call himself a philosopher, a word which heretofore had not been an appellation, but a description. He likened the entrance of men into the present life to the progression of a crowd to some public spectacle. There assemble men of all descriptions and views. One hastens to sell his wares for money and gain; another exhibits his bodily strength for renown; but the most liberal assemble to observe the landscape, the beautiful works of art, the specimens of valor, and the customary literary productions. So also in the present life men of manifold pursuits are assembled. Some are incensed by the desire of riches and luxury; others by the love of power and dominion, or by insane ambition for glory. But the purest and most genuine character is that of the man who devotes himself to the contemplation of the most beautiful things; and he may properly be called a philosopher. Pretend what we may, the whole man within us is at work when we form our philosophical opinions. Intellect, will, taste, and passion co-operate just as they do in practical affairs; and lucky it is if the passion be not something as petty as a love of personal conquest over the philosopher across the way. William James, The Sentiment of Rationality (1882). I confess to a certain tremor at the audacity of the enterprise which I am about to begin. For the philosophy which is so important in each of us is not a technical matter; it is our more or less dumb sense of what life honestly and deeply means. It is only partly got from books; it is our individual way of just seeing and feeling the total push and pressure of the cosmos. ...I have heard friends and colleagues try to popularize philosophy... but they soon grew dry, and then technical, and the results were only partially encouraging. So my enterprise is a bold one. The founder of pragmatism... gave... lectures... with that very word in its title,—flashes of brilliant light relieved against Cimmerian darkness! None of us... understood all that he said—yet here I stand making a very similar venture. ...There is... a curious fascination in hearing deep things talked about, even though neither we nor the disputants understand them. We get the problematic thrill, we feel the presence of the vastness. The Greek word for philosopher (philosophos) connotes a distinction from sophos. It signifies the lover of wisdom (knowledge) as distinguished from him who considers himself wise in the possession of knowledge. This meaning of the word still endures: the essence of philosophy is not the possession of the truth but the search for truth. … Philosophy means to be on the way. Its questions are more essential than its answers, and every answer becomes a new question. Karl Jaspers, Way to Wisdom, R. Mannheim, trans. (New Haven: 1951), p. 12. To philosophise is to learn to die – philosophising is a soaring up to the Godhead – the knowledge of Being as Being. 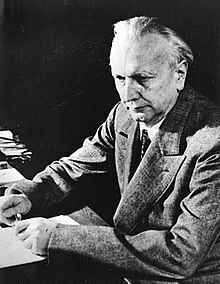 Karl Jaspers, "Philosophy and Science", World Review Magazine (March 1950). Physics and philosophy are at most a few thousand years old, but probably have lives of thousands of millions of years stretching away in front of them. They are only just beginning to get under way. James Jeans, Physics and Philosophy, p. 217.,(1942). Born and nurtured when the human being first asked questions about the reason for things and their purpose, philosophy shows in different modes and forms that the desire for truth is part of human nature itself. Pope John Paul II, Encyclical Fides et Ratio, Chapter 3, 14 September 1998. Pope John Paul II, Encyclical Fides et Ratio, Chapter 64, 14 September 1998.
philosophy must obey its own rules and be based upon its own principles; truth, however, can only be one. Pope John Paul II, Encyclical Fides et Ratio, Chapter 79, 14 September 1998. Too much philosophy makes men mad. Alan Judd, The Noonday Devil (1987). If it does not upset, it is not philosophy. Much can be left unstated. But if nothing is discredited, it is not philosophy. What I really need is to get clear about what I am to do, not what I must know, except insofar as knowledge must precede every act. What matters is to find my purpose, to see what it really is that God wills that I shall do; the crucial thing is to find a truth that is truth for me, to find the idea for which I am willing to live and die. Of what use would it be to me to discover a so-called objective truth, to work through the philosophical systems so that I could, if asked, make critical judgments about them, could point out the fallacies in each system; of what use would it be to me to be able to develop a theory of the state, getting details from various sources and combining them into a whole, and constructing a world I did not live in but merely held up for others to see. Philosophy is life's dry-nurse, who can take care of us -- but not suckle us. 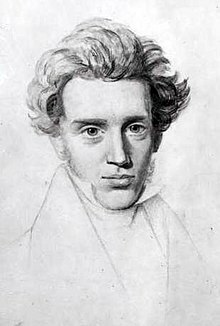 Søren Kierkegaard, Journals and Papers, 1837. Søren Kierkegaard, Journals and Papers, 1843. The spheres with which philosophy properly has to deal, the spheres proper to thought, are logic, nature, and history. Here necessity rules and therefore mediation has its validity. That this is true of logic and nature, no one will deny, but with history there is a difficulty, for here, it is said, freedom prevails. But I think that history is incorrectly interpreted and that the difficulty arises from the following: History, namely, is more than a product of the free actions of free individuals. The individual acts, but his action enters into the order of things that maintains the whole of existence. What is going to come of his action, one who acts does not really know. But this higher order of things that digests, so to speak, the free actions and works them together in its eternal laws is necessity, and this necessity is the movement of world history; it is therefore quite proper for philosophy to use mediation-that is, relative mediation. If I am contemplating a world-historical individuality, I can then distinguish between the deeds of which Scripture says “they follow him” and the deeds by which he belongs to history. Philosophy has nothing to do with what could be called the inner deed, but the inner deed is the true life of freedom. Philosophy considers the external deed, yet in turn it does not see this as isolated but sees it as assimilated into and transformed in the world-historical process. This process is the proper subject for philosophy and it considers this under the category of necessity. Therefore it reject the reflection that wants to point out that everything could be otherwise; it views world-history in such a way that there is no question of an either/or. Søren Kierkegaard, Either/Or Part II, Hong p. 174. Philosophy, like charity, begins at home ; but also, like charity, I should wish it to extend, and become the more beneficial the more it expands. Philosophy is any culture’s pole of maximum abstraction, or intrinsically experimental intelligence, expressing the liberation of cognitive capabilities from immediate practical application, and their testing against ‘ultimate’ problems at the horizon of understanding. Georg Christoph Lichtenberg, Aphorisms (1765-1799), Notebook B (1768-1771), B 49. Do not commence your exercises in philosophy in those regions where an error can deliver you over to the executioner. Georg Christoph Lichtenberg, The Waste Books, R. J. Hollingdale trans., C16. Regard for the true endeavor of philosophy, that of guiding into one common stream the many rills of knowledge, will not be found wanting in my work, although it takes a determined stand against the encroachments of metaphysical methods. Ernst Mach, Preface to the 1st edition, The Science of Mechanics: A Critical and Historical Account of Its Development (1893) p. ix, Tr. Thomas J. McCormack. The philosopher … subjects experience to his critical judgment, and this contains a value judgment—namely, that freedom from toil is preferable to toil, and an intelligent life is preferable to a stupid life. It so happened that philosophy was born with these values. Scientific thought had to break this union of value judgment and analysis, for it became increasingly clear that the philosophic values did not guide the organisation of society. Herbert Marcuse, One Dimensional Man (1964), p. 126. Philosophy is the science by which the natural light of reason studies the first causes or highest principles of all things – is, in other words, the science of things in their first causes, in so far as these belong to the natural order. Jacques Maritain An Introduction to Philosophy, 69. Philosophy is an interpretation of the world in order to change it. Karl Marx, Theses on Feuerbach, thesis 11. Philosophy stands in the same relation to the study of the actual world as masturbation to sexual love. Karl Marx, The German Ideology, International Publishers, ed. Chris Arthur, p. 103. What makes a philosopher is the movement which leads back without ceasing from knowledge to ignorance, from ignorance to knowledge, and a kind of rest in this movement. Maurice Merleau-Ponty, In Praise of Philosophy (Chicago: 1963), p. 5. Where no crude surfeit reigns. John Milton, Mask of Comus, line 476. Reported in Hoyt's New Cyclopedia Of Practical Quotations (1922), p. 596-97. Philosophers in vain so long have sought. John Milton, Paradise Lost (1667; 1674), Book III, line 600. Reported in Hoyt's New Cyclopedia Of Practical Quotations (1922), p. 596-97. Learning philosophy is learning a particular kind of intuitive understanding. Iris Murdoch, Metaphysics As A Guide To Morals, p. 236. The main concern of philosophy is to question and understand very common ideas that all of us use every day without thinking about them. A historian may ask what happened at some time in the past, but a philosopher will ask, "What is time?" A mathematician may investigate the relations among numbers, but a philosopher will ask, "What is a number?" A physicist will ask what atoms are made of or what explains gravity, but a philosopher will ask how we can know there is anything outside of our own minds. A psychologist may investigate how children learn a language, but a philosopher will ask, "What makes a word mean anything?" Anyone can ask whether it's wrong to sneak into a movie without paying, but a philosopher will ask, "What makes an action right or wrong?" For the best and safest method of philosophizing seems to be, first diligently to investigate the properties of things and establish them by experiment, and then later seek hypotheses to explain them. For hypotheses ought to be fitted merely to explain the properties of things and not to predetermine them [the hypotheses] except so far as they can be an aid to experiments. If any one offers conjectures about the truth of things from the mere possibility of hypotheses, I do not see how anything certain can be determined in any science; for it is always possible to contrive hypotheses, one after another, which are found rich in new tribulations. Wherefore I judged that one should abstain from considering hypotheses as from a fallacious argument, and that the force of their argument must be removed, that one may arrive at a maturer and more general explanation. Jetzt wage ich es, der Weisheit selber nachzugehen und selber Philosoph zu sein; früher verehrte ich die Philosophen. Now I dare to pursue wisdom itself and to be myself a philosopher; formerly I worshipped the philosophers. Friedrich Nietzsche, Letter to Karl Fuchs, June 1878, cited in Karl Jaspers, Nietzsche (Baltimore: 1997), p. 46. Where there have been powerful governments, societies, religions, public opinions, in short wherever there has been tyranny, there the solitary philosopher has been hated; for philosophy offers an asylum to a man into which no tyranny can force it way, the inward cave, the labyrinth of the heart. [Philosophers] are not honest enough in their work, although they make a lot of virtuous noise when the problem of truthfulness is touched even remotely. They all pose as if they had discovered and reached their real opinions through the self-development of a cold, pure, divinely unconcerned dialectic...; while at bottom it is an assumption, a hunch, indeed a kind of “inspiration”—most often a desire of the heart that has been filtered and made abstract—that they defend with reasons they have sought after the fact. Friedrich Nietzsche, Beyond Good and Evil, Part One: On the Prejudices of Philosophers, §5. To grasp the limits of reason – only this is truly philosophy. Friedrich Nietzsche, The Case of Wagner, Preface, cited in Kauffman, Nietzsche, pp. 406. Science rushes headlong, without selectivity, without “taste,” at whatever is knowable, in the blind desire to know all at any cost. Philosophical thinking, on the other hand, is ever on the scent of those things which are most worth knowing, the great and the important insights. Friedrich Nietzsche, Philosophy in the Tragic Age of the Greeks, Marianne Cowan trans., p. 43. The evaluation of one's own social circumstance is part of the analysis of facts and events, and this kind of evaluation is, I feel, as good a starting point of the inquiry into the relations between philosophy and society as any other. Philosophy, in understanding human society, call for an analysis of facts and events, and an attempt to see how they fit into human life, and so how they make up human experience. In this way, philosophy, like history, can come to enrich, indeed to define, the experience of man. Kwame Nkrumah, Consciencism. New York University Press. 1970. p. 2. ISBN 0853451362. Retrieved on 14 March 2018. The possibility of all philosophy ... namely, that the intelligence, by affecting itself, gives itself a movement in accordance with its own law—that is, gives itself a form of activity all its own. Novalis, Schriften, p. 63, as translated in Walter Benjamin: Selected Writings: Volume 1, 1913-1926 (1996), p. 133. Se moquer de la philosophie c’est vraiment philosophe. To ridicule philosophy is truly philosophical. Blaise Pascal, Pensées (1669), Article VII. 35. Reported in Hoyt's New Cyclopedia Of Practical Quotations (1922), p. 596-97. The realist, then, would seek in behalf of philosophy the same renunciation the same rigour of procedure, that has been achieved in science. This does not mean that he would reduce philosophy to natural or physical science. He recognizes that the philosopher has undertaken certain peculiar problems, and that he must apply himself to these, with whatever method he may find it necessary to employ. It remains the business of the philosopher to attempt a wide synoptic survey of the world, to raise underlying and ulterior questions, and in particular to examine the cognitive and moral processes. And it is quite true that for the present no technique at all comparable with that of the exact sciences is to be expected. But where such technique is attainable, as for example in symbolic logic, the realist welcomes it. And for the rest he limits himself to a more modest aspiration. He hopes that philosophers may come like scientists to speak a common language, to formulate common problems and to appeal to a common realm of fact for their resolution. Above all he desires to get rid of the philosophical monologue, and of the lyric and impressionistic mode of philosophizing. And in all this he is prompted not by the will to destroy but by the hope that philosophy is a kind of knowledge, and neither a song nor a prayer nor a dream. He proposes, therefore, to rely less on inspiration and more on observation and analysis. He conceives his function to be in the last analysis the same as that of the scientist. There is a world out yonder more or less shrouded in darkness, and it is important, if possible, to light it up. But instead of, like the scientist, focussing the mind's rays and throwing this or that portion of the world into brilliant relief, he attempts to bring to light the outlines and contour of the whole, realizing too well that in diffusing so widely what little light he has, he will provide only a very dim illumination. Philosophia non sapientiam, sed amorem sapientie pollicetur. Philosophy offers not wisdom but the love of wisdom. Petrarch, “On the Various Academic Titles,” De remediis utriusque fortunae, C. Rawski, trans. (1967), p. 65. Modo verus amor sit et vera quam ames sapientia, philosophus verus eris. As long as your love is true and the wisdom true which you love, you shall be a true philosopher. I address all these complaints ... against the philosophers who believe and assert that philosophy should not be pursued because no monetary value or reward is assigned it, unmindful that by this sign they disqualify themselves as philosophers. Since their whole life is concentrated on gain and ambition, they never embrace the knowledge of the truth for its own sake. I have never philosophized save for the sake of philosophy, nor have I ever desired or hoped to secure from my studies and my laborious researches any profit or fruit save cultivation of mind and knowledge of the truth. Philosophy is the acquisition of knowledge. Those who belong to this small class have tasted how sweet and blessed a possession philosophy is, and have also seen and been satisfied of the madness of the multitude, and known that there is no one who ever acts honestly in the administration of States, nor any helper who will save any one who maintains the cause of the just. Such a saviour would be like a man who has fallen among wild beasts—unable to join in the wickedness of his fellows, neither would he be able alone to resist all their fierce natures, and therefore he would be of no use to the State or to his friends, and would have to throw away his life before he had done any good to himself or others. And he reflects upon all this, and holds his peace, and does his own business. He is like one who retires under the shelter of a wall in the storm of dust and sleet which the driving wind hurries along; and when he sees the rest of mankind full of wickedness, he is content if only he can live his own life and be pure from evil or unrighteousness, and depart in peace and good will, with bright hopes. The permanent mental attitude which the sensitive intelligence derives from philosophy is an attitude that combines extreme reverence with limitless skepticism. Most definitions of philosophy are fairly controversial, particularly if they aim to be at all interesting or profound. That is partly because what has been called philosophy has changed radically in scope in the course of history, with many inquiries that were originally part of it having detached themselves from it. The shortest definition, and it is quite a good one, is that philosophy is thinking about thinking. That brings out the generally second-order character of the subject, as reflective thought about particular kinds of thinking — formation of beliefs, claims to knowledge — about the world or large parts of it. Anthony Quinton (b. 1925-) published in: Ted Honderich ed (1995) The Oxford Companion to Philosophy. New York: Oxford University Press. Well, for me, it's clarification of the nature of the world, the nature of reality. I seek the same satisfaction that one looks for in science in general, in theoretical science. Philosophy is not to relieve one of decisions, but to confront him with decisions. It is to make life not easy but, on the contrary, problematical. In order to live, man must act; in order to act, he must make choices; in order to make choices, he must define a code of values; in order to define a code of values, he must know what he is and where he is – i.e. he must know his own nature (including his means of knowledge) and the nature of the universe in which he acts – i.e. he needs metaphysics, epistemology, ethics, which means: philosophy. He cannot escape from this need; his only alternative is whether the philosophy guiding him is to be chosen by his mind or by chance. Ayn Rand, "Philosophy, who needs it?" Philosophy seems to me on the whole a rather hopeless business. Bertrand Russell, in a letter to Gilbert Murray, December 28, 1902. Philosophy, if it cannot answer so many questions as we could wish, has at least the power of asking questions which increase the interest of the world, and show the strangeness and wonder lying just below the surface even in the commonest things of daily life. Bertrand Russell, The Problems of Philosophy (1912). Philosophy is to be studied, not for the sake of any definite answers to its questions, since no definite answers can, as a rule, be known to be true, but rather for the sake of the questions themselves; because these questions enlarge our conception of what is possible, enrich our intellectual imagination and diminish the dogmatic assurance which closes the mind against speculation; but above all because, through the greatness of the universe which philosophy contemplates, the mind is also rendered great, and becomes capable of that union with the universe which constitutes its highest good. 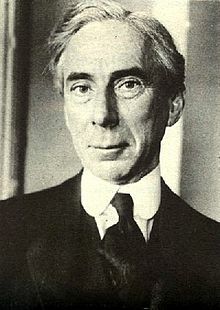 Bertrand Russell, The Philosophy of Logical Atomism (1918). When people begin to philosophize they seem to think it necessary to make themselves artificially stupid. Bertrand Russell, Theory of Knowledge (1913). Philosophy, as I shall understand the word, is something intermediate between theology and science. Like theology, it consists of speculations on matters as to which definite knowledge has, so far, been unascertainable; but like science, it appeals to human reason rather than to authority, whether that of tradition or that of revelation. All definite knowledge—so I should contend—belongs to science; all dogma as to what surpasses definite knowledge belongs to theology. But between theology and science there is a No Man's Land, exposed to attack from both sides; this No Man's Land is philosophy. Almost all the questions of most interest to speculative minds are such as science cannot answer, and the confident answers of theologians no longer seem so convincing as they did in former centuries. Science is what we know, and philosophy is what we don't know. Bertrand Russell, Unpopular Essays (1950), Chapter II: Philosophy for Laymen. Philosophers, for the most part, are constitutionally timid, and dislike the unexpected. Few of them would be genuinely happy as pirates or burglars. Bertrand Russell, Unpopular Essays (1950), Chapter IV, Part iii, p. 74. Philosophy makes progress not by becoming more rigorous but by becoming more imaginative. Richard Rorty, introduction to Truth and Progress: Philosophical Papers, Volume 3 (1998). Henri de Saint-Simon, Mémoire sur la science de l'homme (1813). George Santayana, The Genteel Tradition in American Philosophy (1911), pp. 48-49. Reported in Hoyt's New Cyclopedia Of Practical Quotations (1922), p. 596-97. Expect nothing more from philosophy than a voice, language and grammar of the instinct for Godliness that lies at its origin, and, essentially, is philosophy itself. Friedrich Schlegel, “On Philosophy: To Dorothea,” in Theory as Practice (1997), p. 421. Über keinen Gegenstand philosophieren sie seltner als über die Philosophie. About no subject is there less philosophizing than about philosophy. Friedrich Schlegel, “Selected Aphorisms from the Athenaeum (1798)”, Dialogue on Poetry and Literary Aphorisms, Ernst Behler and Roman Struc, trans. (Pennsylvania University Press:1968) #1. Philosophy always begins in the middle, like an epic poem. Friedrich Schlegel, “Selected Aphorisms from the Athenaeum (1798)”, Dialogue on Poetry and Literary Aphorisms, Ernst Behler and Roman Struc, trans. (Pennsylvania University Press:1968) #84. Whoever does not philosophize for the sake of philosophy, but rather uses philosophy as a means, is a sophist. Friedrich Schlegel, “Selected Aphorisms from the Athenaeum (1798)”, Dialogue on Poetry and Literary Aphorisms, Ernst Behler and Roman Struc, trans. (Pennsylvania University Press:1968) #96. Arthur Schopenhauer, The World As Will And Idea, Volume I, p. 41. To be a philosopher, that is to say, a lover of wisdom (for wisdom is nothing but truth), it is not enough for a man to love truth, in so far as it is compatible with his own interest, with the will of his superiors, with the dogmas of the church, or with the prejudices and tastes of his contemporaries; so long as he rests content with this position, he is only a φίλαυτος [lover of self], not a φιλόσοφος [lover of wisdom]. For this title of honor is well and wisely conceived precisely by its stating that one should love the truth earnestly and with one’s whole heart, and thus unconditionally and unreservedly, above all else, and, if need be, in defiance of all else. Now the reason for this is the one previously stated that the intellect has become free, and in this state it does not even know or understand any other interest than that of truth. Arthur Schopenhauer, “Sketch for a history of the doctrine of the ideal and the real,” Parerga and Paralipomena, E. Payne, trans. (1974) Vol. 1, pp. 21-22. University professors, restricted in this way, are quite happy about the matter, for their real concern is to earn with credit an honest livelihood for themselves and also for their wives and children and moreover to enjoy a certain prestige in the eyes of the public. On the other hand, the deeply stirred mind of the real philosopher, whose whole concern in to look for the key to our existence, as mysterious as it is precarious, is regarded by them as something mythological, if indeed the man so affected does not even appear to them to be obsessed by a monomania, should he ever be met with among them. For that a man could really be in dead earnest about philosophy does not as a rule occur to anyone, least of all to a lecturer thereon. Arthur Schopenhauer, “On Philosophy in the Universities,” Parerga and Paralipomena, E. Payne, trans. (1974) Vol. 1, p. 141. 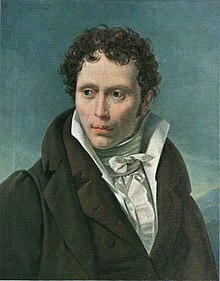 Arthur Schopenhauer The World as Will and Representation, Vol. I, §68. It is the courage to make a clean breast of it in the face of every question that makes the philosopher. He must be like Sophocles’ Oedipus, who, seeking enlightenment concerning his terrible fate, pursues his indefatigable inquiry even though he divines that appalling horror awaits him in the answer. But most of us carry with us the Jocasta in our hearts, who begs Oedipus, for God’s sake, not to inquire further. Philosophy is nothing but Discretion. John Selden, Table Talk, Philosophy. Reported in Hoyt's New Cyclopedia Of Practical Quotations (1922), p. 596-97. Philosophy is no trick to catch the public; it is not devised for show. It is a matter, not of words, but of facts. It is not pursued in order that the day may yield some amusement before it is spent, or that our leisure may be relieved of a tedium that irks us. It molds and constructs the soul; it orders our life, guides our conduct, shows us what we should do and what we should leave undone; it sits at the helm and directs our course as we waver amid uncertainties. Without it, no one can live fearlessly or in peace of mind. Countless things that happen every hour call for advice; and such advice is to be sought in philosophy. Seneca the Younger, Moral Letters, R. Gummere, trans. (1917). William Shakespeare, Hamlet (1600-02), Act I, scene 5, line 166. (“Our philosophy” in some readings). Reported in Hoyt's New Cyclopedia Of Practical Quotations (1922), p. 596-97. William Shakespeare, Romeo and Juliet (1597), Act III, scene 3, line 55. Reported in Hoyt's New Cyclopedia Of Practical Quotations (1922), p. 596-97. Bernard Shaw, Man and Superman (1903), Act III, line 509. Reported in Hoyt's New Cyclopedia Of Practical Quotations (1922), p. 596-97. It is as absurd to expect members of philosophy departments to be philosophers as it is to expect members of art departments to be artists. Leo Strauss, “What is liberal education?” Liberalism, Ancient and Modern (1968), p. 7. Reported in Hoyt's New Cyclopedia Of Practical Quotations (1922), p. 596-97. Leo Strauss, What is Political Philosophy?, p. 40. Reported in Hoyt's New Cyclopedia Of Practical Quotations (1922), p. 596-97. There are nowadays professors of philosophy, but not philosophers. … To be a philosopher is not merely to have subtle thoughts, nor even to found a school, but so to love wisdom as to live according to its dictates, a life of simplicity, independence, magnanimity, and trust. Thoreau, Walden (1854), “Economy” ¶ A19. Reported in Hoyt's New Cyclopedia Of Practical Quotations (1922), p. 596-97. La clarté est la bonne foi des philosophes. Clearness marks the sincerity of philosophers. Luc de Clapiers, Marquis de Vauvenargues, Pensées Diverses, No. 372. Gilbert’s ed. (1857), Volume I, p. 475. Reported in Hoyt's New Cyclopedia Of Practical Quotations (1922), p. 596-97. The observation and experiments necessary for the pursuit of alchemy did not comport with the Greek idea of philosophy. This is shown by the saying of Socrates, that the nature of external objects could be discovered by thought without observation, and by the renunciation of all natural sciences by the Cynics. This came largely from the fact that they saw in the nature around them the mutable only. Plato separated logic, as the knowledge of the immutable, from physics, the knowledge of the mutable. That which was subject to indefinite change would not repay observing nor recording, therefore they could not conceive of astronomy and physics as serious objects of mental occupation. There was nothing to be learned from fields and trees and stones. One of the philosophers is said to have gone to the length of putting out his eyes, in order that his mind might not be influenced by external objects, but might wholly give itself to pure contemplation. The intellectual power and grasp of these philosophers were wonderful, but faulty and misleading, since the real and practical was left out. Francis Preston Venable, A Short History of Chemistry (1894) pp. 9-10. Contemporary philosophy illustrates Hegel’s dictum that philosophy is its own time apprehended in thought, for in our age philosophy yields to the objectifying technical impulse and loses its ancient task of pursuing the Socratic ideal of the wisdom of the examined life. Donald Phillip Verene, Philosophy and the Return to Self-Knowledge (1997), p. 191. Philosophy is an activity: it is a way of thinking about certain sorts of question. Its most distinctive feature is its use of logical argument. Philosophers typically deal in arguments: they either invent them, criticize other people’s, or do both. They also analyse and clarify concepts. Shouldn't I join the ranks of philosophers and merely make unsubstantiated claims about the wonders of human consciousness? Shouldn't I stop trying to do some science and keep my head down? Indeed not. Kevin Warwick, quoted in Hendricks, V: "Feisty Fragments for Philosophy", King's College Publications, London (2004). I feel that we are all philosophers, and that those who describe themselves as a philosopher simply do not have a day job to go to. Richard Weaver, Ideas have Consequences (1948), p. 19. Ludwig Wittgenstein, Tractatus Logico-Philosophicus (1922), § 4.112. Ludwig Wittgenstein, Philosophical Occasions 1912-1951 (1993) Ch. 9 : Philosophy, p. 185. The real discovery is the one which enables me to stop doing philosophy when I want to. The one that gives philosophy peace, so that it is no longer tormented by questions which bring itself into question. Ludwig Wittgenstein, Philosophical Investigations (1953) § 133. In philosophy the race is to the one who can run slowest—the one who crosses the finish line last. Ludwig Wittgenstein, Culture and Value (1998), p. 40. Reported in Hoyt's New Cyclopedia Of Practical Quotations (1922), p. 596-97. That no philosophy can lift. William Wordsworth, Presentiments. Reported in Hoyt's New Cyclopedia Of Practical Quotations (1922), p. 596-97. Why should not grave Philosophy be styled? A dreamer, yet more spiritless and dull? William Wordsworth, The Excursion, Book III. Reported in Hoyt's New Cyclopedia Of Practical Quotations (1922), p. 596-97. When we see a woman bartering beauty for gold, we look upon such a one as no other than a common prostitute; but she who rewards the passion of some worthy youth with it, gains at the same time our approbation and esteem. It is the very same with philosophy: he who sets it forth for public sale, to be disposed of to the highest bidder, is a sophist, a public prostitute. Xenophon, Memorabilia, 1.6.11, T. Stanley, trans., p. 535. What characterizes philosophy is this "step back" from actuality into possibility — the attitude best rendered by Adorno's and Horkheimer's motto quoted by Fredric Jameson: "Not Italy itself is given here, but the proof that it exists."